Small size, but big flavor! 'Tonda di Parigi', Italian for "Round of Paris", is deep orange, sweet and tender, and the round shape is a unique feature among carrots. Shallow roots mean you can grow it in a shallower bed or even in a container! Plant Dimensions: Roots are 1"–2" long at their peak. Variety Information: Dark orange, round root, sweet and tender. 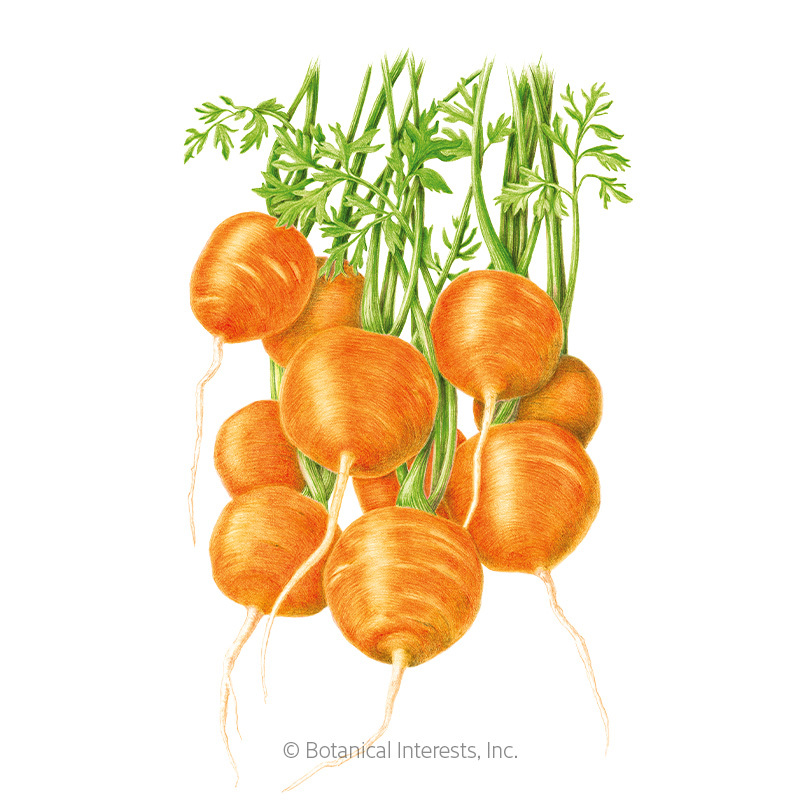 'Tonda di Parigi' is a French heirloom in a class of its own; it does not fall into any of the four primary carrot types (chantenay, nantes, danvers, and imperator). Thinning: When 1" tall, thin to 1 every 2"
They aren't kidding when they say this is big on flavor! I added these small, two-bite carrots to a roast along with bagged baby carrots we had and while the store-bought carrots completely lost their flavor in the cooking process these kept theirs! They are delicious when cooked, but raw I found them to be soapy tasting and they are hard when bitten into. I grew these in a pot and I can see why kids would get a kick out of their small size. Fun to grow, and can be grown in shallower containers. You could probably grow these inside under grow lights in the winter.